Major elections in Nebraska and California with repeal on the ballot. A new project to spread the word about the DP movement. Voting is a right, a privilege and a responsibility. We urge you to vote! Side Issue to "The Importance of Voting"
The connection between suffrage rights and death penalty repeal. All Oregon religious leaders are asked to sign a letter calling for repeal. 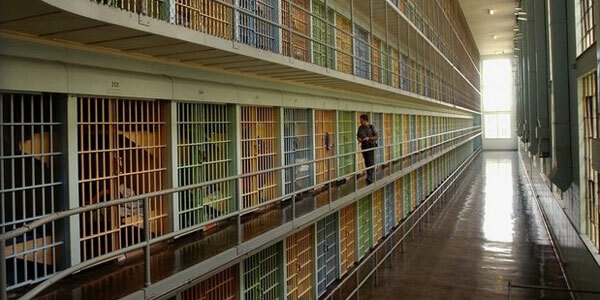 A new essay series focused on Oregon Death Penalty Law. Men serving life sentences at OSP united to improve quality of life. 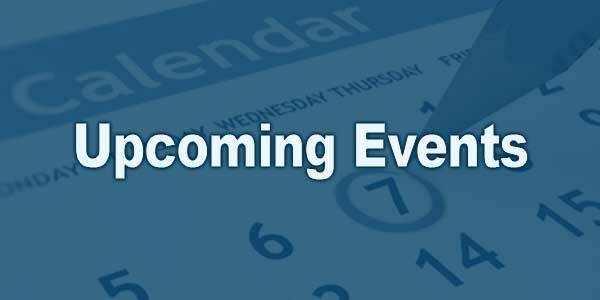 Death penalty repeal related events upcoming this fall in Oregon. Two major elections set for November 8th have potential to put considerable wind in the Oregon repeal ship's sails. Both California and Nebraska have repeal of the death penalty on their ballots. Like those critical elections, Oregon needs a vote of the people to repeal our death penalty. OADP is working hard to educate voters and legislators about the costly, ineffective public policy the death penalty represents. Results in California and Nebraska can greatly impact outcomes here. It makes total sense that those of us here help the campaigns of our neighbor to the south and of like-minded friends three states to the east. Repeal victories in these states would move the "non-death state" number to 20 and help advance the "evolving standard of decency" standard that weighs heavily on any potential U.S. Supreme Court decision to end executions throughout the land. In both states... call, write, email, text, tweet, send a Facebook post to any friends and relatives who are voters there. Let them know you care. Provide them the basic information they need to support the campaigns' efforts and get involved. Sign up to support of the efforts of those working to repeal the death penalty. Go to the www.retainajustnebraska.com, the Nebraskans for Alternatives to the Death Penalty (NADP) website. 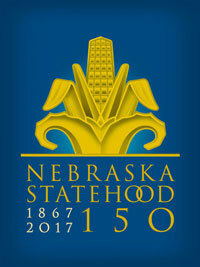 Feel free to pass this link along to those "Cornhuskers" you know. Any of you Oregon State football fans, who are not mad at Coach Riley, send him a message. 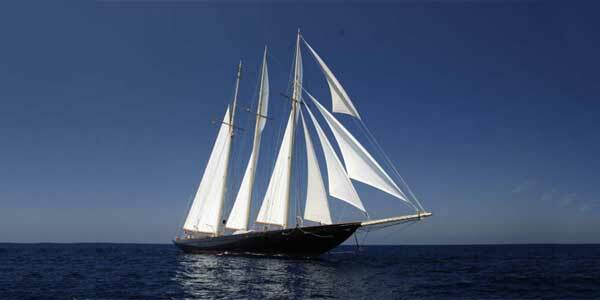 If you care to make a financial donation, you can do that through its web site. Nebraskans for Alternatives to the Death Penalty Executive Director Stephen Griffith, passes this message along to we Oregonians, "We're confident that when voters know the facts, they will vote to retain LB268, and keep the end of the death penalty. So we're working hard to be sure they know the facts. I'm very gratified by the response of people in Nebraska and all over the country. Thank you for your help!" Volunteer to make phone calls to Nebraska voters. NADP has a very sophisticated system you use from home to access and record the names/numbers from your computer. You do not need to say you are calling from out-of-state. Contact Brandon Langlois, Brandon@retainajustnebraska.com, who will walk you through the simple process. It will be good practice when we do our own calling once we get this on an Oregon ballot. You can have a real impact on the Nebraska campaign no matter where you live. Again, contact all your friends and relatives. Oregon has had considerable migration from the south in past years. For those who've moved here, it's time to use the good connections you have there. Go to Yes on 62. This is a very sophisticated web site. Much of the information you need to be aware of about the California situation is found on their site. You can read the Justice That Works Act 2016, which is a very understandable way for voters to grasp the need for this positive change. "California is by far the largest cog in America's death penalty machine, with it's death row containing more than one quarter of the national total," according to Matt Cherry, campaign manager of YesOn62. He goes on to say "We know the impact of a popular vote to close down the largest death penalty system in the Western World will be felt far beyond California. And we hope that death penalty opponents from across the U.S. will do everything they can to help us win". Be aware there is another measure on California's November ballot placed by the opposition. Prop 66 is deceptive, poorly written and expensive. When reaching out to California voters, it's helpful to know all of the facts and figures to lead people to the right decision. Sign up as a supporter to get needed information on what is happening in California and ways that supporters can pitch in. If you care to make a donation, you can do that on the Yes on 62 web site. 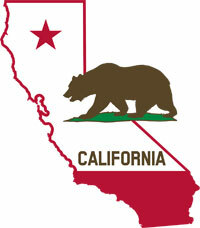 California is a big and expensive state to market and advertise in to achieve adequate impact. Soon supporters in California will provide details on how to sign up to make calls into the state, using a state-of-the-art system you use from home with your smart phone and/or computer. Wins in Nebraska and California will be wins for Oregon. Let's all get behind both states' campaigns and do what we can to help. 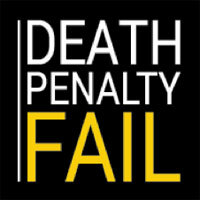 Exciting news - The #DeathPenaltyFail campaign is officially launched! On August 25, 2016, a uniquely provocative and candid project about the death penalty was launched. 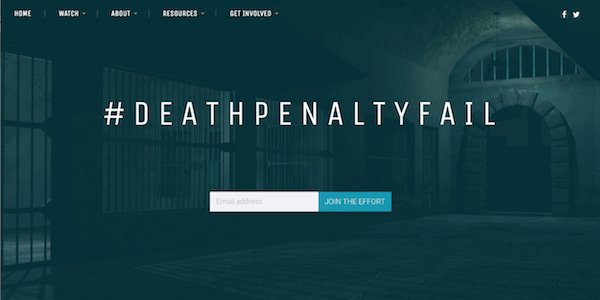 Their website – and videos – are now live, ready to spread the word about the movement to end the death penalty for good. #DeathPenaltyFail is a movement lead by a group of organizations promoting facts, highlighting inefficiencies and pushing for repeal of the death penalty. They are committed to educating people about the social, emotional and financial burdens of the death penalty. Invite your friends over to see the films, discuss the death penalty, and take action. Voting is a right. Voting is a privilege. 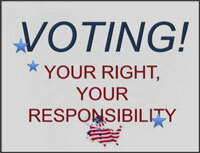 Voting is a responsibility. We have the great privilege to select those who represent us in public office. Through ballot measures, we also determine the outcome of important issues. We are responsible for those selections and must live with the outcomes until the next time those public officers or issues are again on a ballot. Therefore, it is incumbent upon all of us to take our right and privilege seriously and to take the responsibility to make good choices. We all have a right to our opinions when casting our votes and we all have a responsibility to learn as much as possible about the candidates and issues to make informed decisions. Oregon has the most convenient voting system in the country. Since adopting vote-by-mail, Oregon consistently ranks as a national leader in voter turnout. Receiving a ballot two to three weeks before an election, gives voters time to research issues and candidates. Oregon is one of just three states requiring a vote of the people to repeal the death penalty. While repeal will not be on the November 2016 ballot, we hope it will appear before voters sometime soon. There are two ways to get repeal on ballot, by legislative referral or by initiative petitions. Initiative petitions, as citizen-generated ballot questions, have the same force of law as legislatively referred measures. It is important we select legislators and a governor interested in a better public policy than provided by the death penalty. Learn as much as you can about candidates and their views on criminal justice in general and the death penalty in particular. Share with candidates your feelings on the issue. Candidates pay attention when their constituents reach out to them advocating for certain positions on certain issues. The adage of "who you know is important" is not only old; it is also ineffective when trying to influence decisions. The better statement is "who knows you is important" so contact candidates you wish to influence so they hear from you, learn from you and get to know you through your contacts. Call them, write letters to them, email them, text them, visit them, show up at debates and rallies and speak directly to them. Let your voice be heard. As an organization, it is not OADP's place or intention to tell you who to vote for. It is our intention to urge you to learn about the death penalty, share your thoughts and vote for candidates who reflect our position on this issue. We urge you to vote and encourage others to vote. Passing on the opportunity to vote causes you to lose your voice in governance. Beginning with the formation of local equal suffrage associations in 1870, the struggle for full voting rights for Oregon women spanned 42 years. 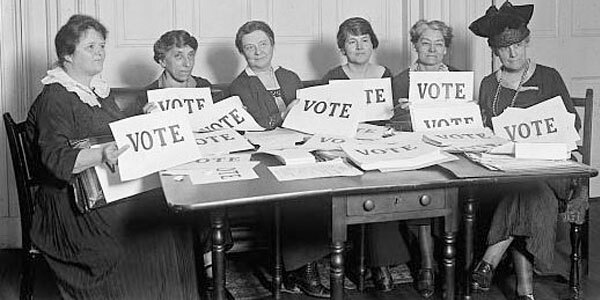 The issue of voting rights, also called suffrage or the franchise, for Oregon's women appeared on the state's ballot six times: 1884, 1900, 1906, 1908, 1910, and 1912 when it finally passed. 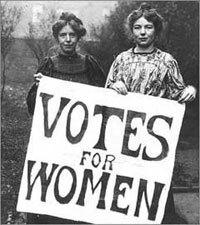 Opposition to women voting included the argument that if achieved, women would vote to repeal the death penalty. Do you think it was pure coincidence that in 1914 Oregon voters repealed the death penalty? "We the undersigned clergy and religious leaders in Oregon, call for the repeal of the death penalty in Oregon." That is how the letter starts. All religious leaders in Oregon are now being asked to sign this letter calling for repeal. People of Faith Against the Death Penalty (PFADP), Ecumenical Ministries of Oregon (EMO) and OADP are collaborating on this grassroots effort to show the commitment, potential voting power and cooperation needed to achieve our mission of repeal. 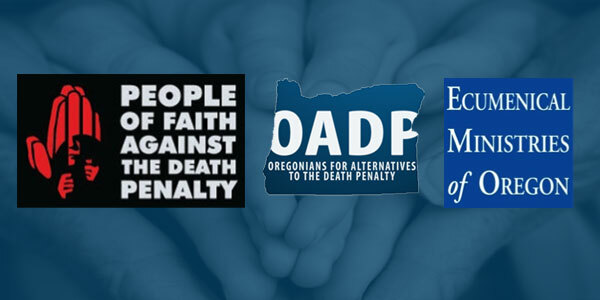 PFADP Executive Director Steve Dear states, "We are excited to join with OADP and EMO in creating a powerful statement from hundreds of Oregon's religious leaders working to unbind Oregon from the death penalty." PFADP, a national non-profit organization, has generated thousands of signatures from religious leaders on similar letters for repeal and clemency around the country. EMO's Executive Director Jan Elfers provided the following statement on behalf of the state-wide organization representing many faith traditions. "Compassion, the affirmation of human dignity and respect for all life drive our state's faith communities to transform the world around us. OADP's singular drive to repeal Oregon's death penalty is a cause EMO members proudly and steadfastly support. This interfaith letter will be another important way for faith leaders to drive real, love-inspired change." EMO is a state-wide association of denominations, congregations, ecumenical organizations and interfaith partners working together to improve the lives of Oregonians through community ministries and public policy advocacy. Signers of the letter can be clergy or anyone with a leadership role in a faith community. In addition to clergy, deacons, elders, assistant ministers, peace and justice committee people, nuns, religion-based associations, and those in leaderships role in their faith group, all are welcome to add their signatures to the letter. This notice serves as an invitation for religious leaders to go to www.oregonletter.org and sign on. It is simple, it is easy and it is important. Also, with this notice we urge every reader who belongs to a faith community to encourage the leader of their community to also sign on. This effort is important now and will be more important as the number of signatures grow. This is a way to put faith into action. In an effort to learn as much as possible about the Oregon death penalty, OADP has agreed to provide a series of essays written by retired Oregon Supreme Court Chief Justice Paul DeMuniz and Lee N. Gilgan. This first essay will explore the history of the death penalty; the second essay, published later, will explore Oregonians' ambivalent relationship with the death penalty since statehood. 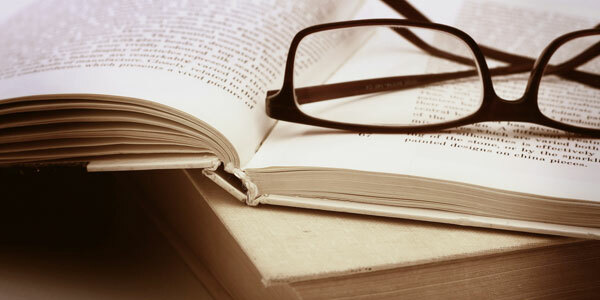 The series will continue to be published over the next several months. Justice DeMuniz is the Distinguished Jurist in Residence, Willamette University College of Law and former Chief Justice of the Oregon Supreme Court. 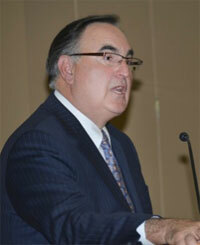 DeMuniz has been involved with Oregon's death penalty for most of his 41 year legal career. As a criminal defense attorney, he successfully fought off the state's death penalty efforts in each capital case that he defended, and successfully argued two death penalty cases in the Oregon Supreme Court. As an Oregon Supreme Court justice he authored opinions that affirmed and reversed the imposition of the death penalty. Lee N. Gilgan, M.A. Criminal Justice, Western Oregon University; J.D., Willamette University College of Law. Gilgan believes that the imposition of the death penalty is constitutional under both the Oregon and Federal Constitutions. However, he opposes the administration of the Oregon death penalty because of its high fiscal costs and the shockingly prolonged incarceration of those awaiting execution, negating the retributive and deterrent penological justifications for the death penalty. Future essays by Justice DeMuniz and Mr. Gilgan will be posted on the oadp.org web site as they are finalized over the next several months. Alerts will be sent out to all supporters and Oregon media with each new offering. The "Club" you should know about. When people outside the Oregon State Penitentiary (OSP) speak about those convicted of aggravated murder, they seldom know much about those incarcerated at Oregon's only maximum-security prison. While media headlines often feature news about the 34 people on death row, scant mention is given those convicted of murder, living a life without the possibility of parole. The Lifers' Unlimited Club is a positive force within the institution that people on the outside should know about. On their own initiative, rather than required by prison rules, those men at OSP serving life sentences for murder are united in the goal of improving the quality of life for those inside and outside the walls of the facility. The Club's mission to improve the quality of life on the inside is easily understood. At the same time improving, the quality of life for people "outside the walls" is something few know about. The mission statement of the Lifers' Unlimited Club includes an equal concern for those outside prison. It states, "The club will work with charity programs, informational services, youth speaking panels and other positive programs. Members know they cannot change the past, however, they believe through rehabilitation and pro-social behavior they can create a more positive future. Life without possibility of parole (LWOP) is an alternative to the death penalty. While Oregon's death row population is 34, the number of people serving life sentences for aggravated murder currently is 200. Make no mistake; LWOP is a harsh and unforgiving sentence. However, it's an alternative that works in many senses of the word. According to OADP board member Frank Thompson, superintendent at OSP from 1994 to 1999, "Lifers have a fundamental interest in making their lives as stressless and productive as possible, because the walls of the institution have become the world within which they will live the rest of their lives. When given administrative support and resources, these individuals are often the ones who set the bar for other prisoners on how to deal with life in prison." Those of us on the outside may know about their crimes from media reports, but seldom do we know the rest of their on-going story. That includes study, hard work, education, rehabilitation, socialization and community service. Community service happens on the inside and on the outside. According to Randy Geer, a 31-year veteran of the Oregon Department of Corrections and a member of the OADP Advisory Council, "The Lifers' Club is a source of stability in an often turbulent mix of men of all races, religions, mental capacities, age and temperament. Club members provide some order to the disharmony that goes beyond the rules and regulations of the prison." Geer goes on to say, "Lifers are more heavily invested in good order, humane practices and stable peaceful operations. They are in some ways the strongest influence within the prison for reason and stability from day to day, week to week, year to year." Remember men on the inside have families on the outside. One of the major community service efforts for years is the Lifers' Club support of Angels in the Outfield. This is a non-profit, all-volunteer organization seeking to brighten the lives of children who have been impacted by crime or child abuse. The Club makes regular contributions to help sponsor activities and holiday celebrations for children of incarcerated parents. The Club's efforts have been evident in recent months as members labored to build a playground area for children who come to visit their dads, brothers, uncles and grandfathers on the inside. They use money made from prison jobs to help pay for visiting room supplies and to support organizations who feed the homeless in Salem. These are just some examples of their charity and community service. Aware that Club members are in prison for offenses similar to those committed by people on death row, when they sponsor special meals and "banquets" for themselves, they make a point to share a similar meal with those on the row. Such acts of kindness are consistent evidence of the members fulfilling their mission to improve the quality of life for others. With support from an OSP staff person, the Club is self-administered. They have annual elections for president, three vice-presidents, secretary, treasurer and meeting facilitators. These leadership roles are passed along providing opportunities for growth and accomplishments. When people on the outside know what goes on inside, it should include recognition of the accomplishments by "lifers". It's an alternative that works. The death penalty is the American criminal justice system at its most unequal and unfair. This September there's a rare opportunity for Oregonians to confront its grim reality from the perspectives of two men who can speak from experience. One spent years on death row before being exonerated; one had to plan and oversee executions. Oregon Justice Resource Center is hosting an event called Death Row from Both Sides in Portland on September 29 to illuminate the reality of the death penalty and spotlight its many flaws. The event features Anthony Graves who was wrongfully convicted and imprisoned on death row in Texas. He spent nearly two decades in prison fighting for his life. He was finally able to prove his innocence with the help of many attorneys and volunteers and was released from prison in 2010. Since then he's become a passionate advocate for criminal justice reform and against the death penalty. The other speaker is OADP Board Member Frank Thompson. He supervised the only two executions in Oregon in more than fifty years. He was responsible for planning, organizing and overseeing deaths by lethal injection of two men on Oregon's death row in the mid-1990s. This experience changed his mind about capital punishment. He's now an OADP board member and a prominent voice for abolition both in Oregon and in legislative chambers around the country. Event details: Death Row from Both Sides takes place September 29 at First Unitarian Church, 1211 SW Main St., Portland, OR 97205. There will be a reception at 6pm followed by the speakers at 7pm and finally a Q & A. Tickets are available online now priced at $75 for the reception + event, $30 for the event only, and free for formerly incarcerated people. Visit http://ojrc.info/graves_thompson to learn more. Presbyterian Women in the Presbytery of the Cascades will hold their 2016 Fall Gathering on October 22nd at the McKenzie Valley Presbyterian Church in Waterville. Oregon. Frank Thompson and Ron Steiner will be featured speakers. The Gathering title theme is Out of the Darkness. Interested parties should contact Barbara Votrobeck, (503)505-4102....barbarfa@revision8.com.